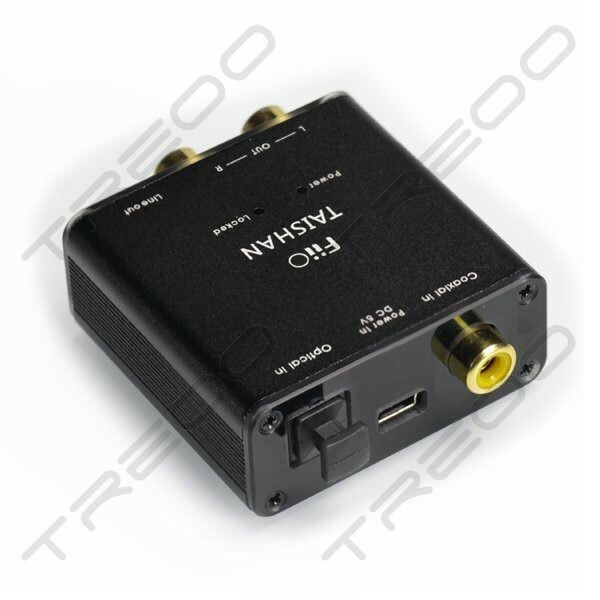 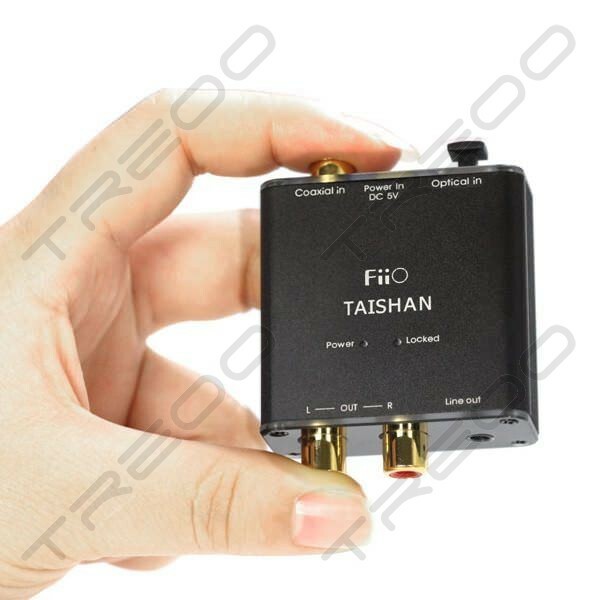 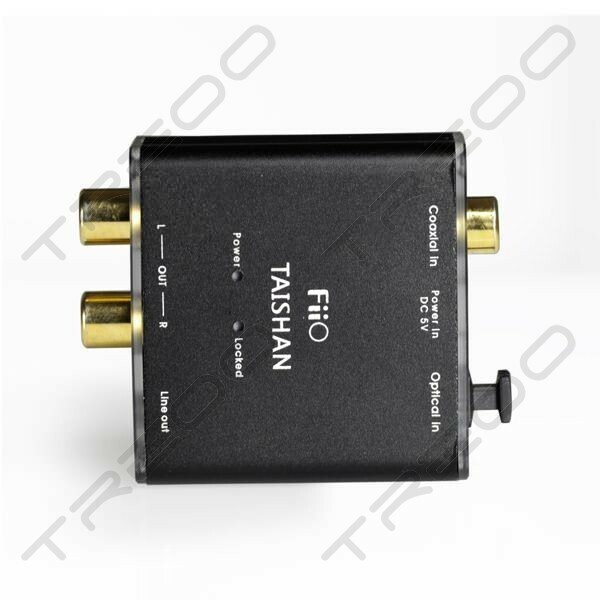 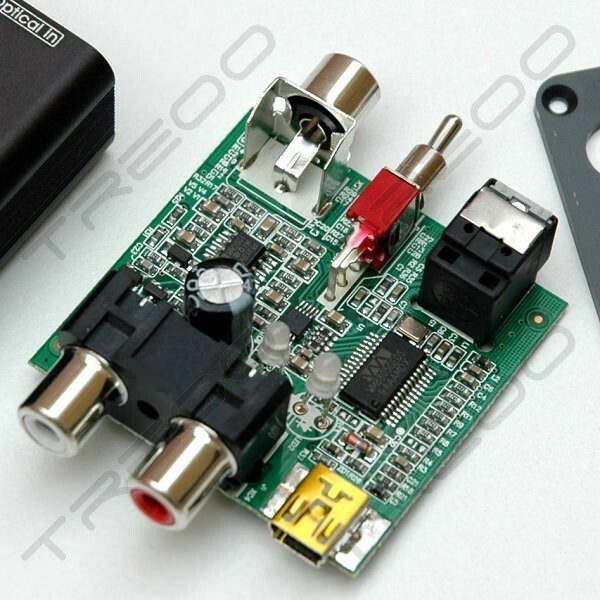 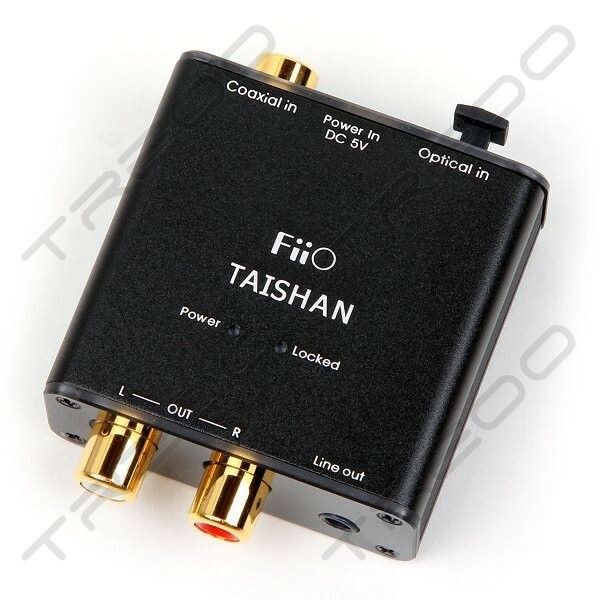 Converts coaxial or optical digital audio input to analog stereo RCA output. 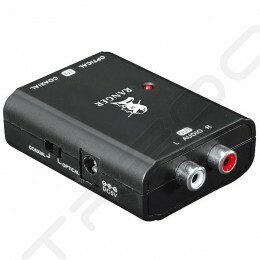 Great product for this price. 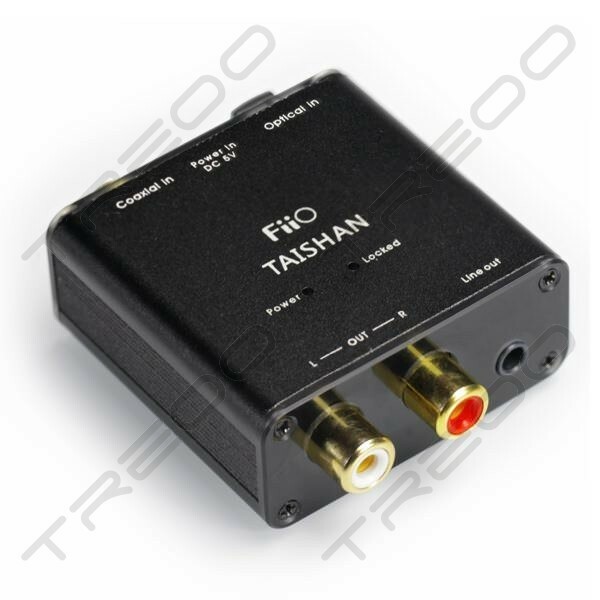 Finish is better than expected and it does the job as advertised.